Utilizing a hitting drill that provides competition, skill development and conditioning is an efficient way to train your team. This hitting drill provides all three critical components to an effective volleyball drill. In the clip below Terrence Miller, Head Volleyball Coach a Cherokee Trail High School shares his Minute to Win It Hitting Drill. This drill can easily be altered to what you need. Hitters could compete in pairs against other teams of hitters or all of your hitters could compete against some standard of excellence that you have established. The hitting drill begins with a coach entering a ball (could be a toss, chip, roll shot, down ball etc..) to a defensive specialist who passes the ball to the setter. 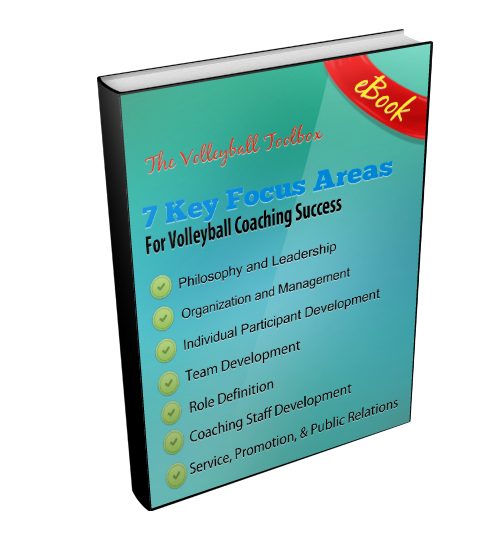 As soon as the hitter hits, the coach will enter the next ball to the defensive specialist. The hitter will then hustle back to the end of the line clearing the way for the next hitter. In the video below there are only two hitters. In this variation , the hitters will not get any rest in between reps. The goal is to hit as many balls in as posible with a hard driven spike. In the video Coach Miller takes a moment to discuss, reward vs punishment. He states that he does not make players run for losing, rather he simple give a reward (he prefers candy) if they win. His thought is that conditioning is important and he doesn’t want them to associate conditioning with something negative. He also mentions that he can do this drill with his middles, he simply adjusts the timing as they are usually hitting a quicker tempo. This clip is from a lengthy clinic presentation at a Glazier Volleyball Clinic. For information about how to gain access to the entire presentation, as well as hundreds of other great clinic presentations, click the link Glazier Volleyball Clinics.